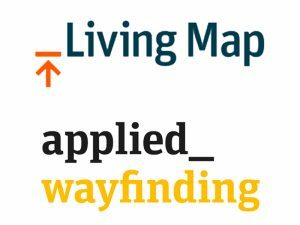 Living Map was created as a way to deliver digital navigation for spaces of the future, as part of the Applied Group consisting of Applied Wayfinding a specialist, Queen’s Award-winning wayfinding agency, with expertise in designing and implementing information and design systems for complex environments. They gained widespread recognition as the architect of Legible London, a multi award-winning information design and transportation system, still regarded around the world as a gold standard. Please leave your details below and a member of the team will be in touch as soon as possible.